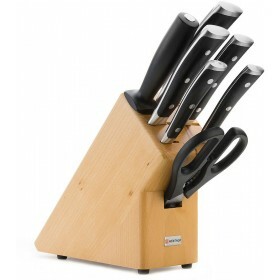 No kitchen should be without a cook's knife, the most essential of all kitchen knives. 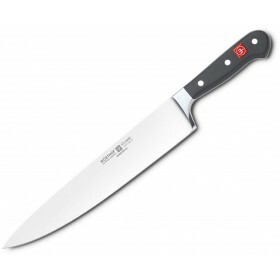 Use this 26cm knife for slicing, mincing, dicing of all kind of food. 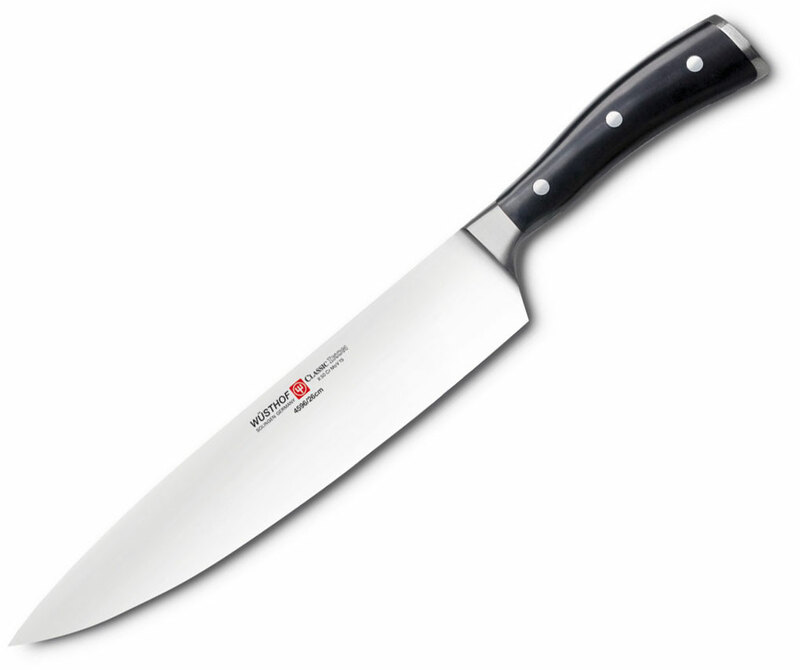 Part of the Wüsthof Classic Ikon range. 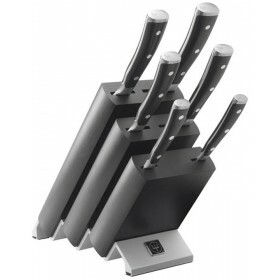 Each knife is forged from a single piece of chromium-molybdenum-vanadium steel hardened to 58° Rockwell. 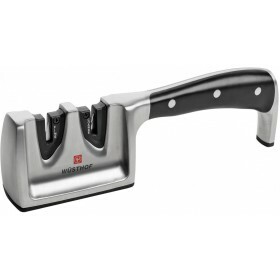 Razor sharp edge with Precision Edge Technology (PEtec), double ground to 14° each side. 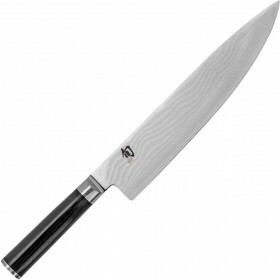 Full-tang, triple-riveted handle with an ergonomic shape. 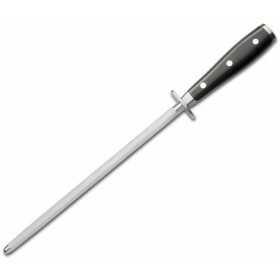 Half bolster makes it easy to sharpen all the way to the end of the blade. Another bolster at the end of the knife for added weight in the handle.